This past summer, the Trenton Health Team relocated to West State Street — joining a host of nonprofits that call downtown Trenton home. Collaborating with community stakeholders such as Greater Trenton and Maestro Technologies in their search for new space, the Trenton Health Team will join Maestro as tenants of 1 West State Street. Greg Paulson, the Executive Director of the Trenton Health Team, is elated to move his staff to the downtown corridor of Trenton. “Our [Trenton Health Team’s] efforts to make health and wellness a priority in Trenton made the downtown a perfect option for our headquarters,” said Paulson. 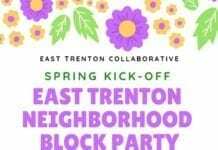 Their presence will add increased vibrancy to the area known as Trenton’s “Corner Historic”. The “Corner Historic” is known for being the site of the first public reading of the Declaration of Independence on July 6th, 1787. This corner also hosted George Washington and his family when he was inaugurated as our nation’s first President. The Trenton Health Team’s new location at One West State Street originated as a homestead into the 1730’s before transitioning into the City Tavern in the late 1700’s and becoming a bank throughout the 1800 and 1900’s. “Dedicated to the Progress of Trenton” engraved along the Warren Street side and “Corner Historic” engraved on the West State Street side. The “Corner Historic” is an innovation hub “dedicated to the progress of Trenton” (as engraved on top of the building), with Maestro Technologies making advances in big data and technology on the bottom floors, Trenton Health Team making advances in community health on the first floor, and co-working spaces throughout. This move coincides with major developments for the Trenton Health Team, as they are completing a grant period from the Rethink Health Ventures Project. 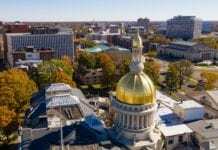 Trenton joins the ranks of regions such as Seattle, Rochester and Sonoma County, California; as cities that are best positioned to offer transformative healthcare delivery systems. 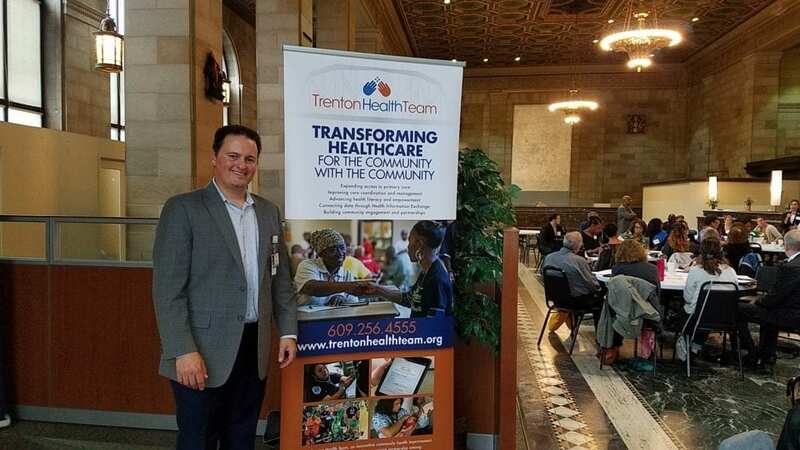 Trenton Health Team Executive Director, Greg Paulson, believes that the grant will help Trenton allocate resources in the right places to achieve the most success. 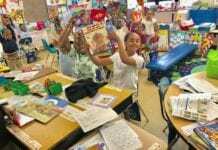 The grant attempts to address the social determinants of health, such as education attainment and economic development. The grant period began in September 2016 and concluded in September 2018. The Trenton Health team is in the process of creating synergy with other Trenton nonprofits to ensure that quality health is a niche of each organizations’ work. They realize that achieving health and well being for the community demands connecting organizations and aligning interests. Their new office in the Trenton downtown advances that objectively immensely.